The nearest railway station is at Varkala town. here is direct connects from major towns in the states as ell as neighbouring states. Varkala is 51 km away from Thiruvananthapuram and 37 km away from Kollam. Buses ply regularly between Thirvananthapuram and Kollam. 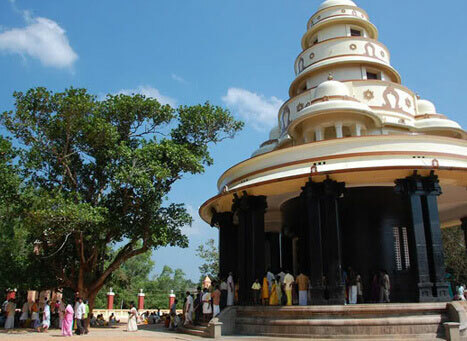 The hilly and quaint reaches of Varkala are home to one among the holiest sites in all of God's Own Country, the Sivagiri Mutt. Here lies the headquarters of the SreeNarayana Dharma Sangham, an organisation built by Sree Narayana Guru's disciples and followers, honouring one among the world's finest social reformers and crusader for justice. Spread over 200 acres, its location on an elevated plateau, along with the very structure and functioning of the place, has provided spiritual succour to thousands of people over the years. 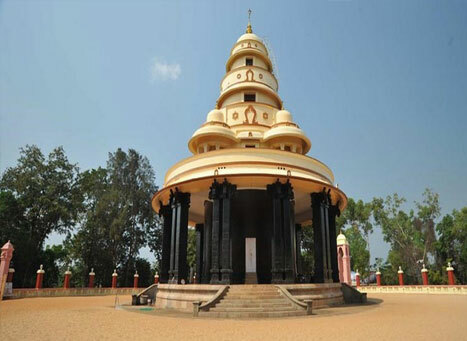 It is said that SreeNarayana Guru himself fell in love with the overall ambience at Varkala and decided to build a hermitage atop the Sivagri Hill. This is where the pilgrim centre we see today lies, and it also has the Samadhi of the Guru. The Guru set up an elementary school here, inviting people across caste lines. 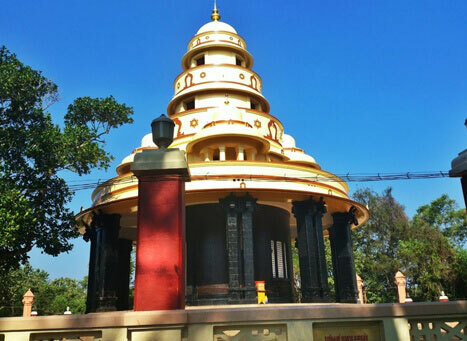 He built a new temple at the site and dedicated it to the Goddess of Knowledge, Saraswathi. Thus, the Saradha (Saraswathi) Temple here came into being in 1912. T The temple's now famous octagonal shape was planned by the Guru as well. Temple ceremonies on site are different than most others across the State, as instead of making offerings, devotees are encouraged to pray in their own way, be it the recitations of hymns or sacred chants. Apart from consecrating a symbolic idol and shunning all tantric rituals, the Guru ensured the vibe and spirit of the place would always stay spiritual. Major occasions at the premises include the Birthday and Samadhi Day of the Guru which fall in August / September and the Sivagiri Pilgrimage which is observed on December 30-January 1. These days thousands of pilgrims in yellow attire from different parts of Kerala gather at the Samadhi of the Guru, who propagated his concept, "One Caste, One Religion and One God".